Last week, 3 UCLA freshman has been detained in China since they were arrested Nov. 7 for shoplifting from three different high-end stores, including sunglasses from Louis Vuitton. 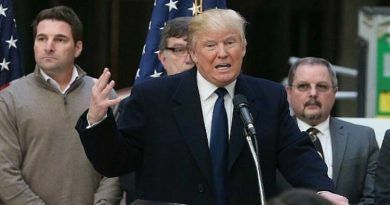 When this incident occurred, President Donald Trump happened to be on a tour of Asia and personally spoke with Chinese President Xi Jingping in an attempt to resolve the case of three UCLA basketball players being held in Hangzhou on charges of shoplifting. So LiAngelo Ball’s father LaVar Ball has finally responded after President Donald Trump took credit Wednesday for orchestrating the release of Ball’s son, UCLA freshman, and two teammates from China. But instead of showing gratitude, LaVar Ball responded “Who?” when ESPN asked him about Trump. “As long as my boy’s back here, I’m fine,” he told ESPN. “I’m happy with how things were handled. A lot of people like to say a lot of things that they thought happened over there. 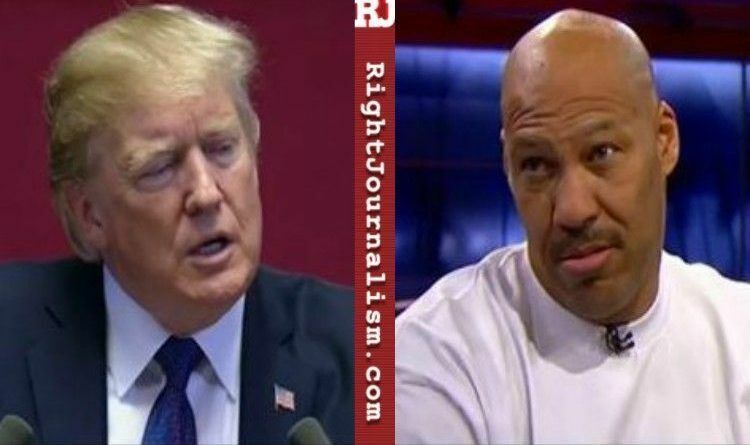 President Trump didn’t hold off when the took to Twitter and responded to Lavar Ball’s comments! LaVar’s son, LiAngelo, and two other players were arrested and accused of shoplifting from a Louis Vuitton store while the UCLA basketball team was on a trip to China for its season-opening game. The players faced potential jail sentences for the charge, but Trump reportedly spoke to Chinese President Xi Jinping about resolving the situation. The players were released and landed in the United States last week. I bet if it was Obama that helped they would be singing his praises but because it is President Trump it is no big deal. It shows the character of the parent especially when the son said thank you! And let’s not forget the marine that was left to rot in the Mexican prison! Obama did nothing! He went to Mexico and met with the president and didn’t even mention releasing the marine who hit list and did nothing wrong! Ingrates!! But at the end of the day, I would not worry about what Trump did or did not do. I would worry about the fact that as a father LaVar did not teach or impress upon his son that stealing is wrong. Truly he is an idiot to even open his mouth. ← Previous BREAKING! 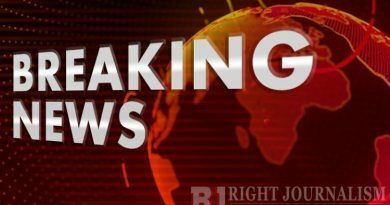 Border Patrol Agent Killed In Texas, His Partner Left Hospitalized In Serious Condition! Here Are The Details! JUST IN! 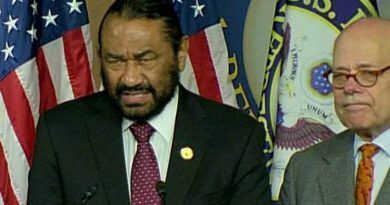 House Rejects Trump Impeachment Resolution! Al Green Left Empty-Handed! BREAKING NEWS! Court Hands Trump Another Big League Victory!